A small-sized South Korean asset management firm, Hyundai Investments Co. Ltd., has raised a real estate fund to invest 93 billion won ($79 million) in mezzanine debt issued for the Cosmopolitan of Las Vegas, joining the ranks of other domestic institutions in making a dash for senior and mezzanine loans abroad. The mezzanine investment by the fund accounts for about 20% of mezzanine debts that Blackstone Group, the owner of the luxury resort hotel and casino, issued for the refinancing of the property, Hyundai Investments said on Nov. 24. A group of unidentified South Korean savings fund and insurance companies participated in the fund with a two-year maturity which can be extended by up to five years. 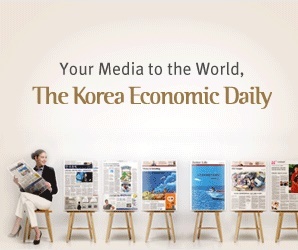 The Korean investors will receive floating interest rates on a monthly basis for the mezzanine loans. They are expected to earn an annual return of 5~6% from the investment. Blackstone acquired the hotel on the Las Vegas Strip from Deutsche Bank for $1.73 billion in 2014, less than half what the German bank had paid for the property in 2008. Since the acquisition, the U.S. private equity firm had spent around $200 million renovating the hotel which consists of two buildings with 3,005 rooms. The hotel covers a floor area of 367,750 square meters. As tougher regulations on banks left a void in the high-yielding financing market, South Korean institutional investors are ramping up investments in senior and mezzanine loans secured by overseas properties in search of better yields. Amid the views that U.S. office building prices have shot up in core cities, Korean investors are now zooming in on second-tier cities and other types of real estate such as student housing and parking towers. Hyundai, a wholly-owned unit of Hyundai Marine & Merchant Insurance Co. Ltd., has invested in offshore real estate over the past year. Its investments include Park Avenue Tower in Manhattan, New York, which Blackstone had reportedly acquired for $750 million in 2014.